Todd McFarlane, President of Image Comics and creator of SPAWN took the industry by storm with the envelope-pushing parody one-shot SPAWN KILLS EVERYONE! written by McFarlane himself with art by J.J. Kirby. In order to keep up with increased customer demand, Image Comics has fast-tracked SPAWN KILLS EVERYONE! to a second printing. In SPAWN KILLS EVERYONE! Spawn kills, well... everyone. In this laugh-out-loud satire, Spawn heads to Comic Con and nobody escapes his wrath. 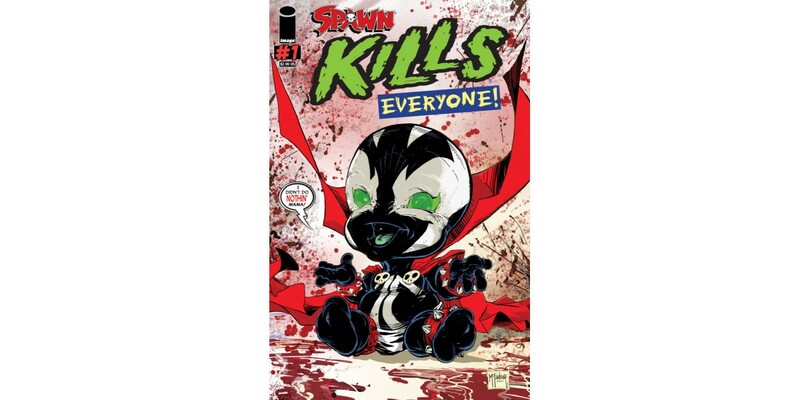 SPAWN KILLS EVERYONE!, 2nd printing (Diamond Code JUL168317) will be available in stores on Wednesday, September 14th. The final order cutoff date for retailers is Monday, August 22nd. SPAWN #265 (Diamond Code APR160779) hits stores on Wednesday, August 31st.